This selection of cabinet and kitchen handles is made by From the Anvil. These handles come in a variety of styles and finishes ideal to match both contemporary and traditional properties’ décor. 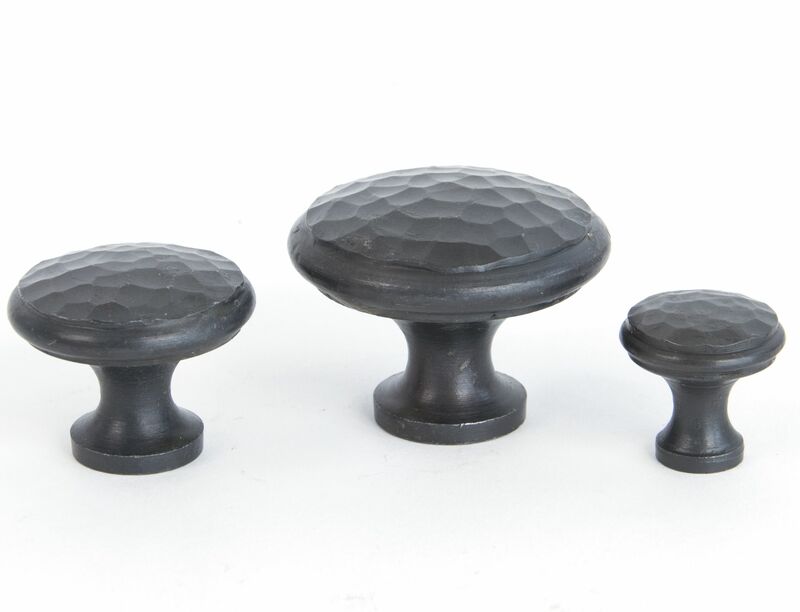 Among our range, we supply black large cupboard knobs, silver drawer cup pull handles, polished brass oval cupboard knobs, aged bronze art deco drawer pulls, drawer drop handles and regency pull handles. In case you require handles for pocket doors and other sliding doors, we have available a wide range of From the Anvil flush handles for sale. This selection includes a variety of different coloured handles, including black flush handles, pewter flush handles, brass flush handles, chrome flush handles and bronze flush handles. For a variety of interior and exterior doors, we supply From the Anvil pull handles, which are perfect for cottages, historical buildings and traditional houses. We have available small pewter pull handles ideal for cupboard doors, aged bronze pull handles on plate perfect for commercial buildings and black twisted robe pull handles, ideal for external and interior doors. Additionally, we have a wide collection of From the Anvil lever handles and mortice door knobs. Our range of door handles by From the Anvil includes lever handles on a backplate, lever handles on rose and door latches.